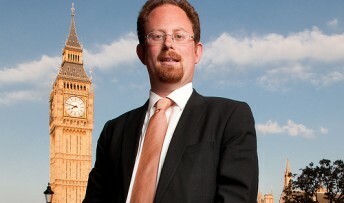 Cambridge MP Julian Huppert is pushing the government to set a clean electricity target next year as a commitment to greener energy, new jobs and lower household bills. Julian has joined a cross-party group of MPs supporting an amendment to the Energy Bill which would set the government a deadline for moving towards renewable energy such as wind power. His action has been praised by environmental charity, Greenpeace who congratulated him on taking the lead on the issue. At present, the Bill includes a clause which gives the government a choice as whether or not to set a target in 2016 and Conservatives are known to favour deferring the decision until after the next election. But as some coal and nuclear plants come to the end of their working lives, the country could be forced to rely heavier on gas supplies which threaten increased prices for consumers. “We need a definitive clean energy target written in legislation which this government and successive governments must adhere to if we are to make a difference,” said Julian. “Labour paid lip service to green energy for years and I am not prepared to let us go on delaying crucial decisions on this issue. “If we want to keep the lights on across this country and prevent us from becoming dangerously reliant on expensive imports of gas from often unstable regimes, leaving families facing high energy bills we have to act now. John Sauven, Executive Director of Greenpeace UK said: “Greenpeace would like to congratulate Julian Huppert for taking this principled stance and joining MPs from all parties who are committed to including a clean electricity target in the Energy Bill.